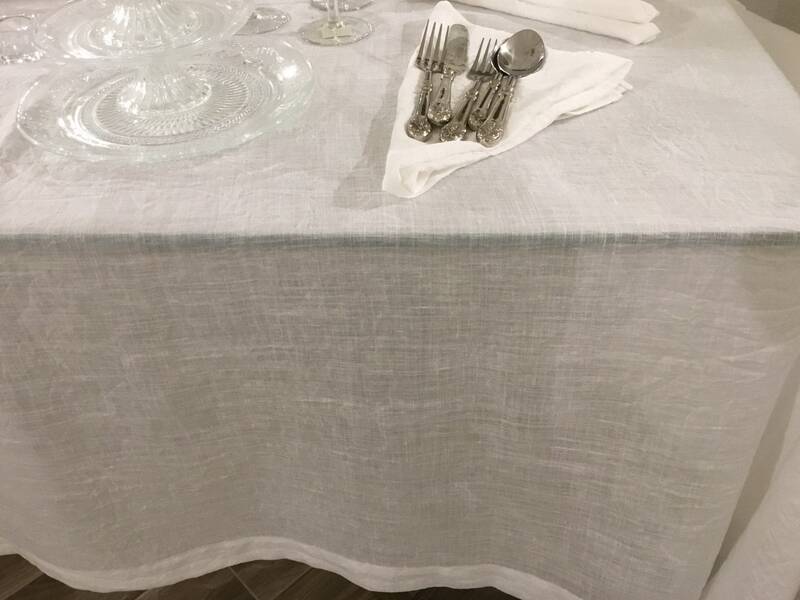 This linen tablecloth is ideal for elegant dinners in the company of friends and family. 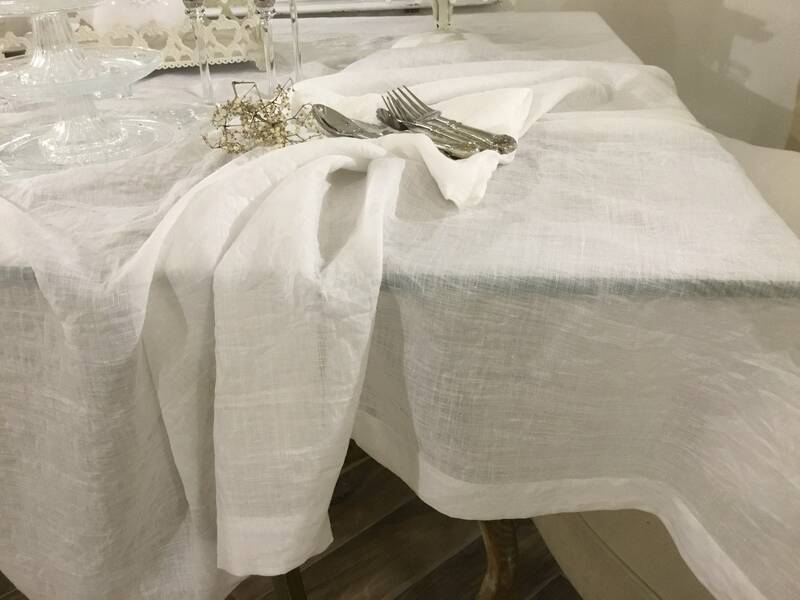 Ethereal, delicate, romantic will leave your guests open-mouthed for both the quality of the fabric and the high tailoring. 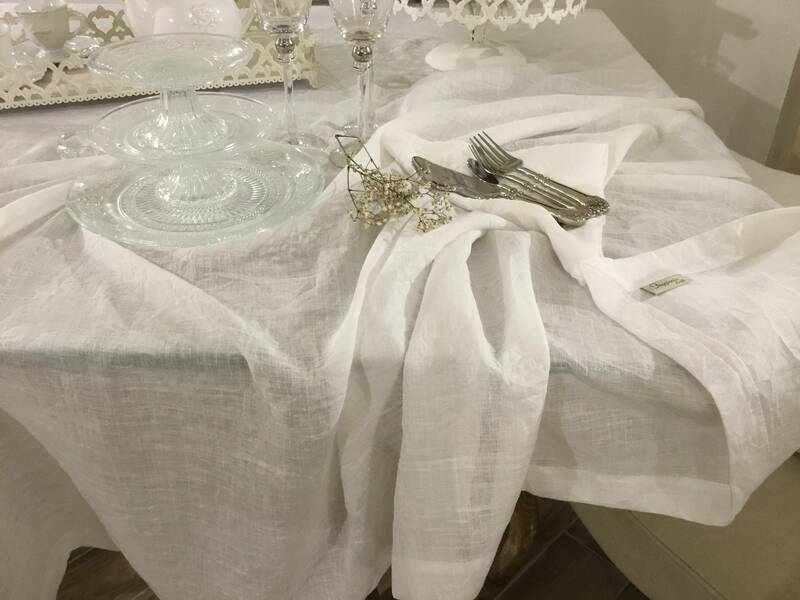 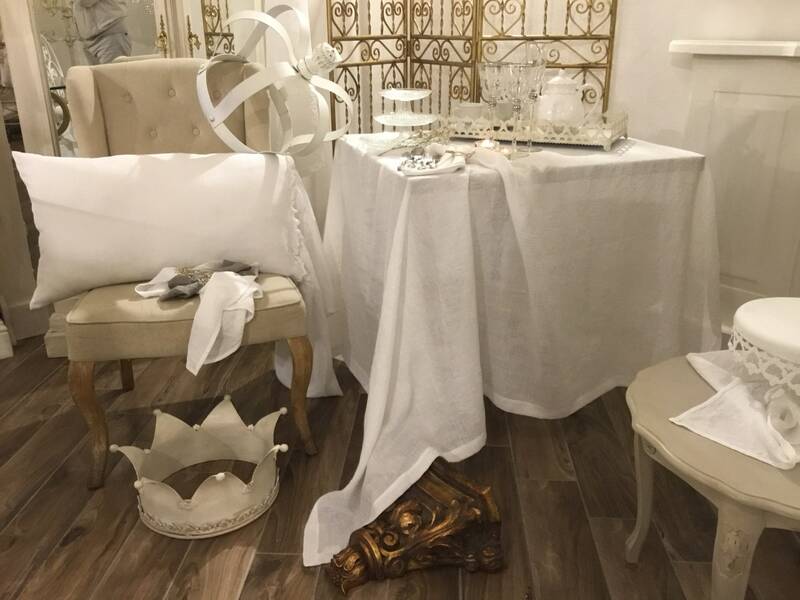 Whatever the décor of your dining room there is only one choice that will make your table set a VERY ELEGANT TABLE. 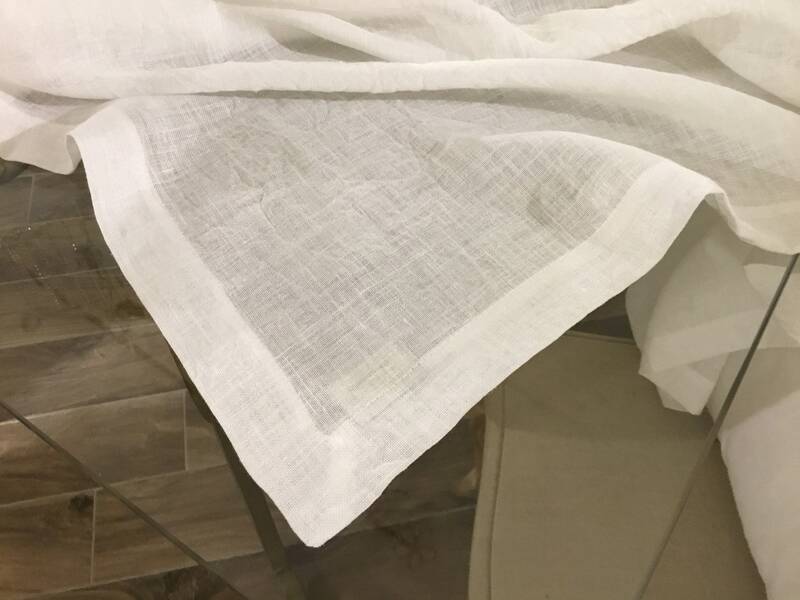 In Linen 100% total white washes in the washing machine and does not stretch and does not shrink. 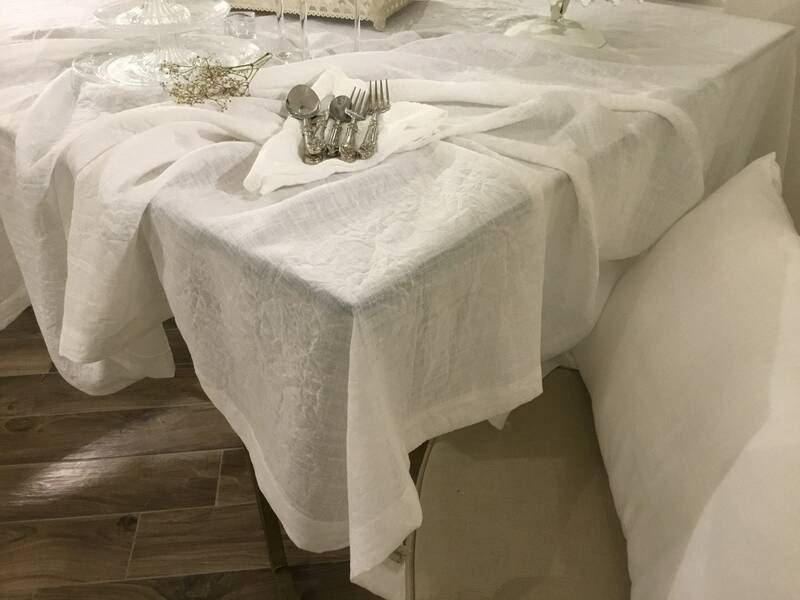 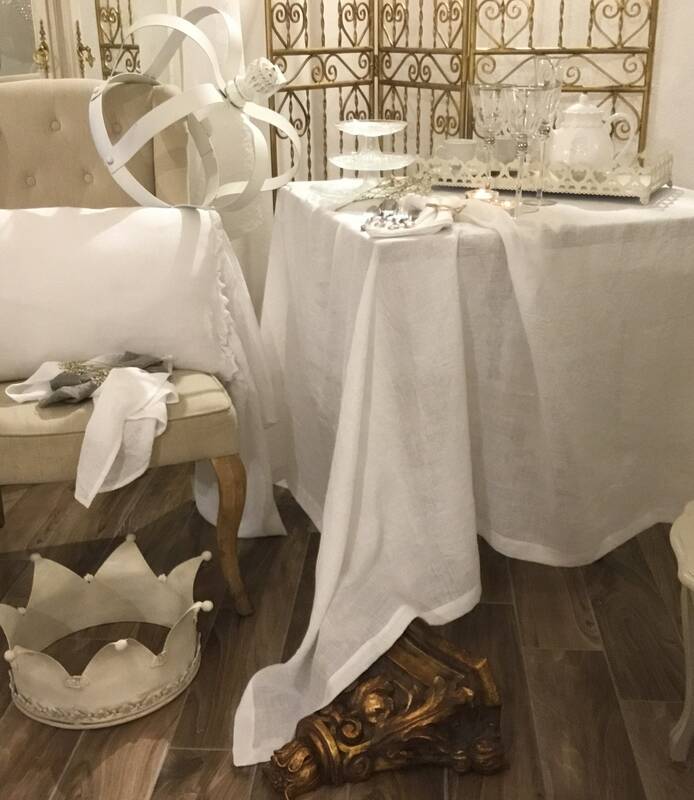 Available in many shapes and sizes from the small designed to cover small tables for your romantic dinners, the long rectangular tablecloth to be laid on the table to receive many guests. 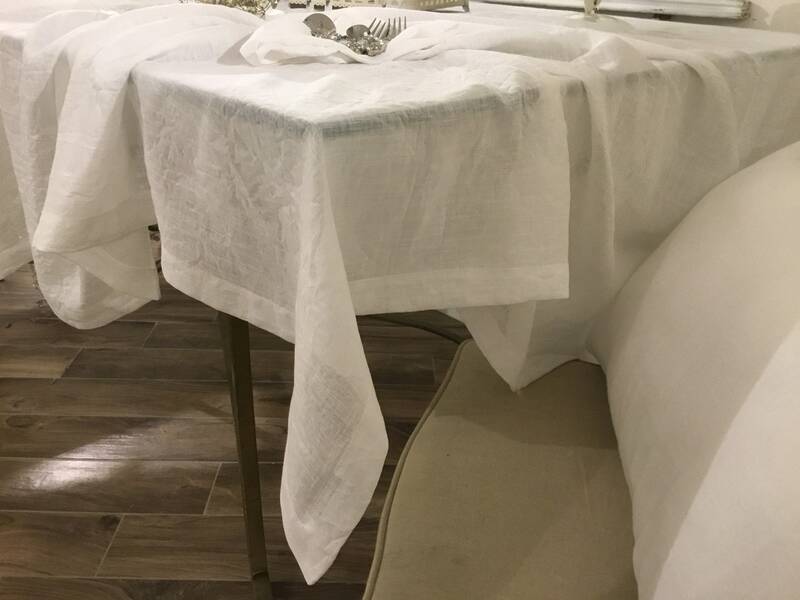 It can be chosen so that their edges fall on the sides of the table in different lengths and even resting on the ground.